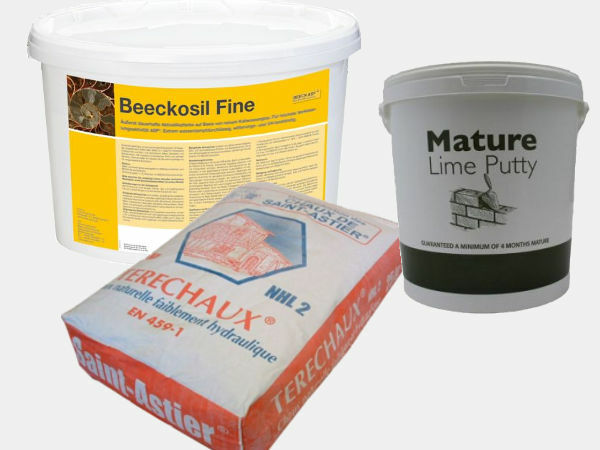 Cornish Lime is proud to offer first rate assistance in selecting suitable materials, and supporting those products with as much in-depth technical information as possible. It is this kind of service that has placed us in the vanguard of conservation materials supply. With a reputable trade background in the care and repair of old buildings and a comprehensive understanding of historic building fabrics, our knowledge base is practical and one that we strive to develop for the benefit of our customers. Guides to rendering, pointing and building with lime materials, such as Lime Putties, Mortars, Renders and Natural Cements. Information and guidance on using breathable paint for both historic and contemporary construction. Advice and guidance on the restoration of older buildings using traditional methods and materials, sympathetic to the original building fabric. Lime is not just for old building – it’s high flexibility, easy of application, vapour permeance and low embodied energy make it perfectly suited for use in modern construction.